Account audit – A Lynx Consulting service offered to clients that have an existing Google AdWords account but who are not satisfied with campaign results. An account audit focuses on optimizing campaign architecture, keywords, ad copy, site placement, landing pages, ROI and conversion rates. Ad – In pay per click advertising, ads come in text format with a title, description (i.e., ad copy) and display URL. Ads are commonly positioned at the top and on the right hand side of a search results page. Ad copy – Description of products or services that help distinguish an advertiser from its competition in a limited amount of text. In Google AdWords, ads have two lines of ad copy that cannot exceed 35 characters per line. Automatic placement – In Google AdWords, these are placements on the content network that Google finds for advertisers based on keywords. The other type of content placement is called managed placement. Bids – The maximum amount of money that an advertiser is willing to pay for a click of an ad. Brand – A customer experience represented by images and ideas, often referring to a symbol like a name or logo. Brand is developed to represent implicit values, ideas and even personality. Brand awareness – A concept used in marketing that measures consumer knowledge of a brand’s existence. To increase the percentage of consumers who are aware of a brand would be to increase brand awareness. Budget – More specifically called ad budget or campaign budget. Generally, it refers to the amount of money an advertiser has allotted to spend over the period of one month. This term is not to be confused with daily budget, which is the amount that an advertiser is willing to spend on a specific AdWords campaign per day. Buying cycle – Sales Cycle is a related term. The buying cycle is the multi-step process of a product purchase. Sales enthusiasts prefer to describe the buying cycle with the five steps of attention, interest conviction, desire and close. Campaign – 1: When used as shorthand for advertising campaign, it is a series of messages that share one idea or theme. 2: Also refers to Google AdWords campaign, which is the top-tier structural item within an AdWords account. A campaign represents a broad grouping of products or services. Campaigns have one or more ad groups within them, with each ad group focusing on the specific product to be advertised. 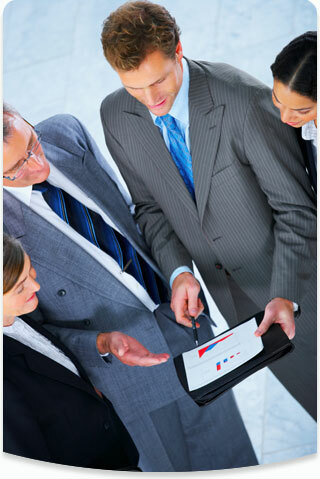 Consulting – Providing advice in an area of expertise. Lynx Consulting advises clients on search marketing. Content network – A collection of websites, blogs and other online properties that partner with search engines like Google to display ads triggered by groupings of keywords, or keyword themes, that are relevant to the web page content a user is viewing. Conversions – In marketing, a conversion occurs when a prospective customers performs a marketer’s intended action. Examples may vary but often include submitting a form on a website, placing an order, downloading an important white paper or making a phone call. Conversion rate – A critical measurement used for determining the effect of a marketing campaign. With regard to online advertising, it is calculated by dividing the total number of conversions into the total number of visitors to a website. Display ads – Also called image ads. These are graphical ads that appear on content networks. Expert analyst – See Google Certified Professional. Google AdWords – Google’s advertising program that is primarily based on a pay-per-click (or cost-per-click) pricing model. Google Certified Professional – Certification program offered by Google. To become a Google Advertising Professional, or GAP, one must fulfill three requirements. The requirements are: (1) managing at least one AdWords account through My Client Center for 90 days, (2) managing a marketing spend of $1,000 during that 90 day period and (3) passing the exam. Google Network – A collection of websites, blogs and other online properties that have partnered with search Google to display ads triggered by groupings of keywords, or keyword themes, that are relevant to the web page content a user is viewing. It has two components: the search network and the content network. Keyword – Pay-per-click advertisers use keywords to target potential customers. It is the job of pay-per-click experts to make sure that keywords are highly relevant to ensure top performance of a pay-per-click campaign. Keyword analysis – This is a determination of what keywords a website ranks for. Analysis may include recommended changes or additions to the keywords that have been chosen to promote a product or service. Keyword bids – See Bids. Landing pages – A term for the web page that customers ‘land’ on when clicking a paid search ad or an organic search result. Leads Or Sales lead – A lead is a potential sales contact, whether it is an individual or business organization, which has expressed an interest in a product or service. Link analysis – This is a determination of how many links are pointing to a particular website and how effective they are. Analysis may be followed by recommendations on how to improve link popularity. Local business listings – Also known as local business ads. These ads are free to display and allow businesses to be found when searching for local businesses on Google Maps. Manual (Managed) placement – In Google AdWords, these are placements on specific sites of the content network that the advertiser picks to target ads. The other type of content placement is automatic placement. Match types – Keywords can have one of four match types. These include broad match, phrase match, exact match and negative match. It is the job of pay-per-click experts to ensure that a proper combination of match types is used to run an effective pay-per-click campaign. Negative keywords – One of four keyword match types. Using a negative keyword ensures that an advertiser’s ad does not show for any search that includes that particular term. Online marketing – Also known as internet marketing. Optimization – In reference to a paid search campaign, optimization is the continuous process of modifying ad campaigns to improve the quality and performance of the ads. It is the job of pay-per-click experts to optimize campaigns through a varied combination of improving ad text, adding keywords, editing keyword bids, modifying campaign architecture or changing ad targeting. But see Website optimization. Paid search engine listings – It is a list of corresponding sponsored ads for a keyword-based search query on a search engine. The list of the resulting sponsored ads is typically seen at the top and at the right of the organic search results on a search engine. Pay-per-click (PPC) – It is a form of online marketing in which advertisers pay the advertising source only when their ad is clicked. Typically, this involves bidding on keywords that are relevant to an advertiser’s product or service. Pay-per-click audit – See Account audit. Reach – An important feature of pay-per-click advertising is its massive reach. Reach refers to the number of unique users who are served an ad over a specific amount of time. Relevance – An important feature of pay-per-click advertising. It refers to the usefulness of information to a user, such as when a relevant ad pops up pertaining to a customer’s keyword search. Return on Investment (ROI) – A metric for determining the amount of money an advertiser makes on an ad compared to the amount of money spent on the ad. The more successful the ad, the higher the ROI will be. Search marketing – Also known as search engine marketing. It is a form of online (or internet) marketing that aims to promote websites by increasing their visibility in search engine result pages (SERPs) through the use of search engine optimization and pay-per-click advertising. Search engine analysis – This is a determination of how well a website is designed for search engines. Analysis may be supplemented with recommendations as to how to maximize the potential for search engine rankings. In other words, an analysis of what is working on a website and what could be improved. Search engine – Also web search engine. It is a computer program designed to search for information on the World Wide Web. Information can consist of web pages, documents, images or other files and results are presented in a list as a product of an algorithm or a combination of algorithmic and human input. Search engine optimization (SEO) – It is the process of improving the amount or quality of organic traffic to a website from search engines search results. Search engine optimization is different from other forms of search engine marketing that may include paid or pay-per-click advertising. Site placement – See Managed placement. Third party agency – It is an independent entity that provides some level of service or consulting to businesses. Often, businesses will outsource the work to build and run marketing campaigns, including Google AdWords. Usability – With regard to websites, it is a determination of usefulness or the level with which a person is able to interact with a website in order to achieve a particular goal. Web analytics – The measurement, collection analysis and reporting of internet data for purposes of understanding and optimizing web usage. Website architecture – This refers to the discipline of organizing website content with a strict observance to technical, aesthetic and functional criteria in overall design and planning. Website audit – Gives online web presence assessment. Website audits provide unbiased SEO consultancy to inform clients before or while working with an SEO company on optimizing a website. It takes the form of an in-depth report that focuses on areas of: link analysis; search engines analysis; web analytics review and keyword analysis. Website optimization – This is the process of improving a website to rank high on the search engines. But see Optimization, referring to a paid search campaign.